Professional Service for Commercial Buildings, Educational Facilities, Religious Institutions, Historic Properties and Much More. 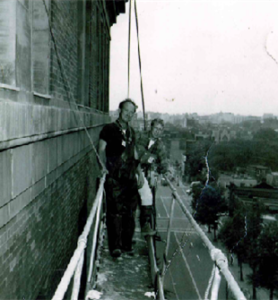 Palmer, Inc is a family run business that has been in the masonry restoration and waterproofing business since 1976. 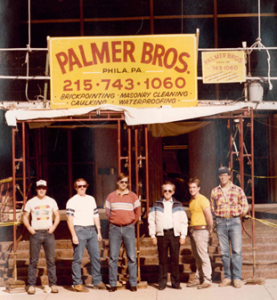 Started from humble beginnings and learning the skills of the trade passed down from their father, the Palmer brothers set out to create what is now known as Palmer, Inc.
By staying true to their roots and with the help of their core group of employees, the brothers were able to grow from a small residential company in NE Philadelphia to one of the foremost restoration companies in the Philadelphia Area. 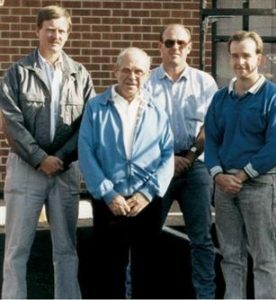 Now in our 2nd generation, Palmer, Inc is committed to building on our reputation of dedication and quality craftsmanship for many years to come!